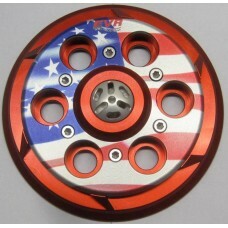 Let your Flag Fly!! 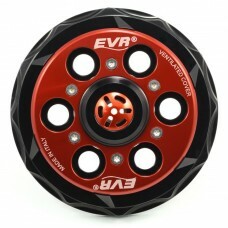 Change up your Ducati's dry clutch with EVR's "FLAG" Vented Pressure Pla..
Let your Flag Fly!! 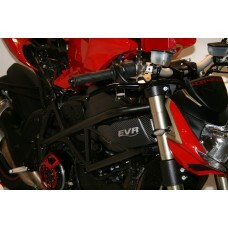 Reduce your lever effort with EVR's clutch slave cylinder for your Ducati! CN..
Let your Flag Fly!! 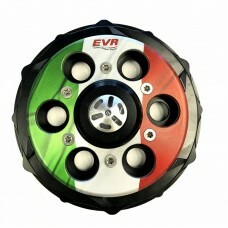 Change up your Ducati's dry clutch with EVR's "FLAG" Vented Pressure Plate .. 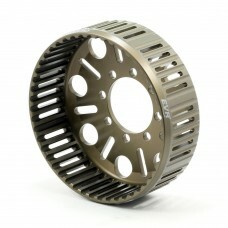 This clutch basket is a replacement aluminum 12 tooth Clutch Basket to replace the heavy Stock one.. 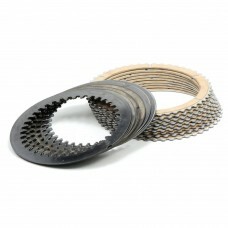 Replacement Clutch plate kits for the OE 12 tooth Clutch and basket. 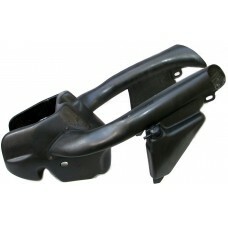 Includes Steel plates and yo.. 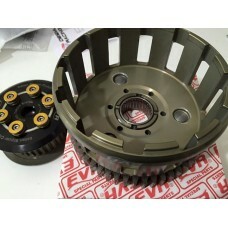 This Light weight billet clutch basket is a replacement for 48T EVR slipper clutch kits and EVR 48.. 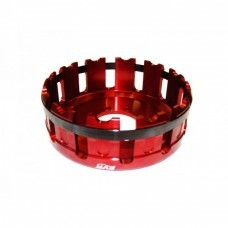 Whether you are Upgrading your OE clutch basket and plates for better response and less wear or ju.. 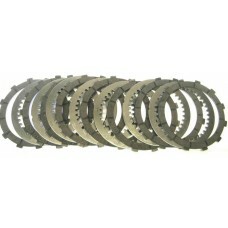 Replacement Clutch plate kits for the CTS01 /CTS02 Slipper Clutches or when you have converted you.. 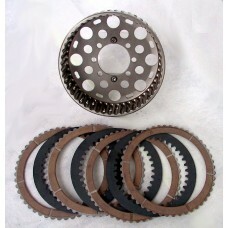 Replacement Clutch plate kits for STM Evo and Evo Superbike Slipper clutches. 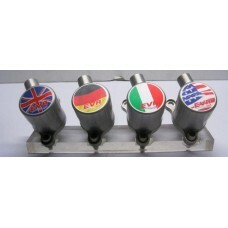 Includes Steel plat.. 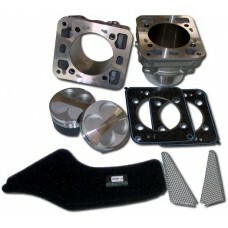 This Kit increases the engine’s capacity on a 748 from 748cc to 853cc. 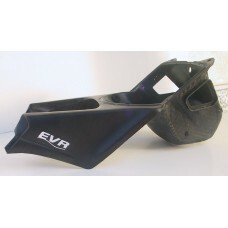 It includes cylinders..
Te eEvolution of the EVR vented cover, reduces the internal temperatures and improves the feelin..
Used by every single Ducati Panigale in WSBK for a reason! 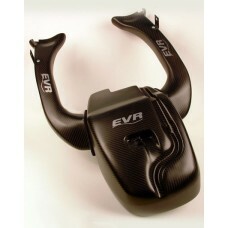 Pictures are from Laguna Seca WSBK roun..
Used by every single Ducati Panigale in WSBK till for a reason! 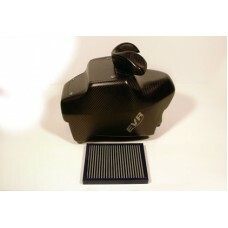 Pictures are from Laguna Seca WSBK..
Lyle and Randy BOTH use this Airbox on their 999's! 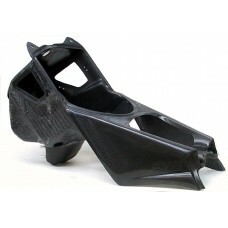 Not only does it look Fantastic, It increases..
Not only does it look Fantastic, It increases the capacity of your Airbox by 25% giving you large ..
Not only does it look Fantastic, It increases the capacity of your Airbox by 30% and is about 5 lbs..
Not only does it look Fantastic, It effectively doubles the capacity of your Airbox giving you lar..